Tablacus Explorer 18.1.17 Multilingual Portable ~ Apps2Portable | Free Portable Apps for PC ! The ZIP package includes both the 32- and 64-bit versions of the program. You don’t need to install the utility on your system as it’s portable. You may run it by simply opening the executable file and copy it on portable media devices like USB flash drives. The user interface is straightforward and you should get used to working with this program in no time. It’s easy to switch between multiple folders thanks to its built-in tabbed support. There are multiple customization options included in this program by the developer and all off them prove to be extremely useful for users who need to view and organize their documents and folders. 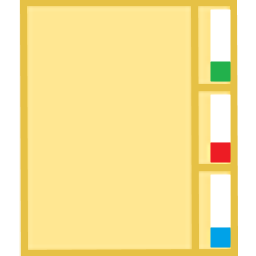 You may select how the folders should be displayed into the main window in terms of large, medium or small icons, details, tiles or content. It also features a built-in search engine that can help you look for files and folders. Moreover, it is possible to select how the items from a specified folder should be displayed into the main window in terms of name, type, size, account name, attributes, attachments, authors, business fax, company and so many other options. Folders and files may be sorted or grouped by name, type, size and date when they were last modified. The app is able to automatically remember your tab setup if you close it and allows you to copy or move items to different locations and save the settings to XML file format so you can import data in the future. The program’s functionality can be boosted with the aid of add-ons, which can be installed directly from its interface. With the aid of plugins you can customize mouse buttons and gestures, hotkeys and address bar, split a window into 6 frames, apply multi-process file operations, and show full path. Furthermore, the app allows you to customize menus, tabs (style, alignment, size, position), keys and mouse gestures. Compared to the GUI, which looks intuitive and easy to decode, the configuration panel may leave less experienced users completely puzzled. There are online tips that you can count on for performing the tweaks but a thorough help manual is still needed. Overall, Tablacus Explorer is a handy tool that can help you manage your files and folders pretty quickly. The multi-tabbed support really makes the difference, as you do not need to keep multiple Windows Explorer panels opened.